Mr. Missirlian has 20 years of commercial real estate experience, focused mainly on commercial real estate financing in addition to experience with investment sales, leasing and management of commercial properties in the Washington, D.C. metropolitan area. 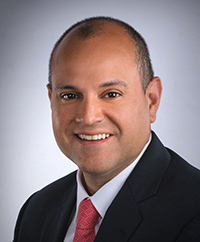 As a member of Metropolis Capital Advisors Structured Finance Team, Al specializes in first mortgage originations, as well as managing underwriting and overseeing transactions and due diligence for the firm’s clients. Additionally, Al serves as the firm’s Chief Operating Officer overseeing the firm’s corporate and transactional operations. From 2002 to mid-2009, Al was a Director in the Structured Finance Group at Transwestern, one of the largest privately held commercial real estate and development firms in the U.S. During this time, he participated in over $3 billion of transactions. Prior to joining Transwestern, Al was Director of Real Estate Partnering for eLink Communications, where he established a sales territory by developing and maintaining partnerships with owners and managers of commercial office buildings in the Baltimore-Washington and South Florida regions. From 1998-2000, Al was a member of an investment services team in CB Richard Ellis’ Bethesda, MD office, where he participated in the sale and marketing of exclusively listed office and industrial properties to local and national investors totaling over $56 million. Copyright © 2019 Metropolis Capital Advisors LLC - Powered by Threshold Media.